Command-line interface to the process manager. Is there a better alternative to appswitch? Is appswitch really the best app in Applications category? Will appswitch work good on macOS 10.13.4? 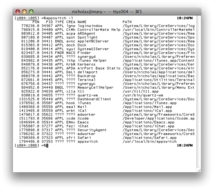 appswitch is a command-line interface to the Mac OS X process manager. 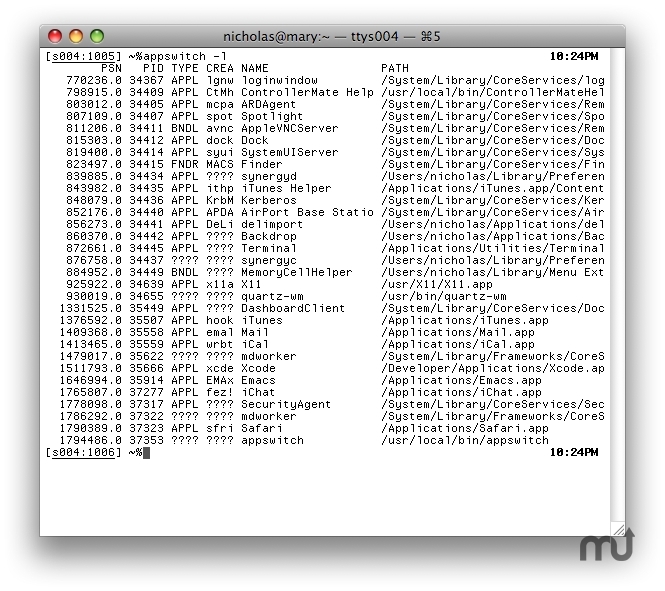 If you use shell scripts to automate Mac OS X applications, you may need to switch between applications. You could use AppleScript via osascript(1), but it may take several seconds for the script to compile and execute, or you could use appswitch which works almost instantly. Need to launch an X11 application from Terminal but the X server isn't in front when you need it? Use appswitch to fix the problem. Or, if you'd like a version of the ps(1) utility which understands the concept of OS X applications, appswitch can help. appswitch needs a rating. Be the first to rate this app and get the discussion started!